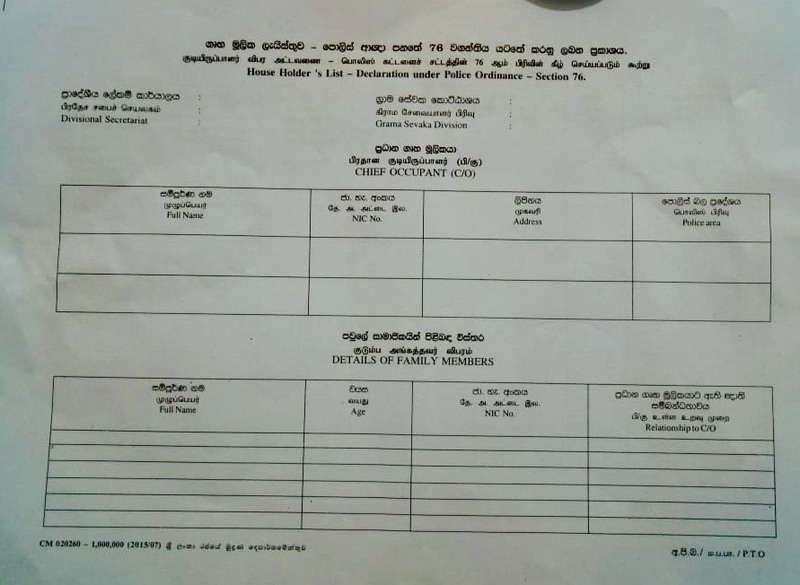 Sri Lankan police have been collecting details of residents and business-people in Koppay, while refusing to disclose the reason. 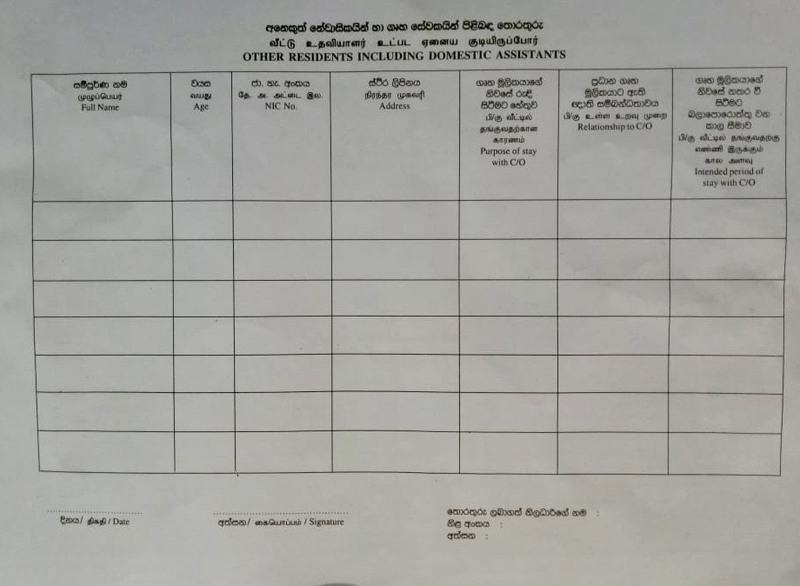 Last Thursday, January 31, non-uniformed police officers visited homes and businesses in Koppay’s police division and told residents to fill out a form with details including names and national identity card (NIC) numbers of occupants. When residents queried the reason for the surveillance, police officers refused to answer, stating only that it was an order from Colombo. At places where occupants weren’t in, police left the forms with instructions to complete and return to the police station within a week.